Beauly will tomorrow mark the 100th anniversary of the Battle of Festubert, France, by renaming their pavilion after two brothers killed there. 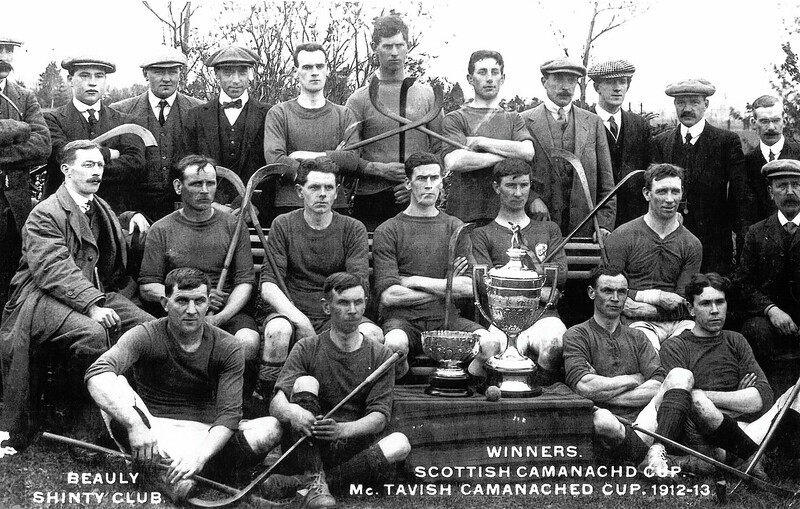 Alastair and Donald Paterson played in Beauly’s 1913 Camanachd Cup winning team – Alastair being the captain of the side – before going off to serve in the First World War. Donald was killed by a sniper on May 18, 1915, while Alastair died from his wounds on June 5. A third brother, William Paterson, went on to be president of the Camanachd Association, and his daughter, Anne-Mary Wharton, niece of Alastair and Donald, will perform the ceremony to name the Paterson Pavilion after Beauly’s Balliemore Cup tie with Ballachulish. Donald had been a noted piper and composed the tune, Beauly Shinty Club, in memory of their Camanachd Cup triumph. His pipes were recovered from a trench in Festurbert and brought home where they were restored by Easter Ross piper Duncan MacGillvray, who will play them, and the tune, at the pre-match ceremony. Club president David Calder said there was “unanimous support” for the move, which is especially poignant because the club has not won the cup since. He added: “It is a significant occasion in the history of the club. The Battle of Festubert claimed the lives of scores of Highlanders. It was fought from May 15-25, 1915, in the Artois region of France, at a cost of 16,000 casualties. Services were held at Kingussie and Portree recently to mark the centenary. Today, a talk will be held at Talla nan Ros in Kingussie to commemorate some of the men from the area who died during the war. A free booklet will also be distributed at the event.